Michael C. Stabile of Wallkill, NY, passed away Saturday, November 17, 2018, in Wallkill. He was 70. 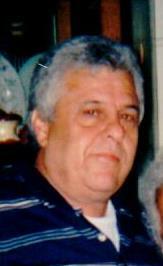 The son of the late Edward and Mary Squicciarini Stabile, he was born August 14, 1948 in Brooklyn, New York. Michael served in the Navy and worked as a senior sewage treatment worker for the NYC D.E.P. .
Visitation will be Wednesday, November 21, 2018 from 3-6 pm at Millspaugh Funeral Home, 22 Bank St.Walden, NY 12586. A funeral service will follow at 6:30 pm at the funeral home.